Jesus commands us to “Love God … and love your neighbor as yourself”. At Immanuel, we put love into action with time, talents, and money. 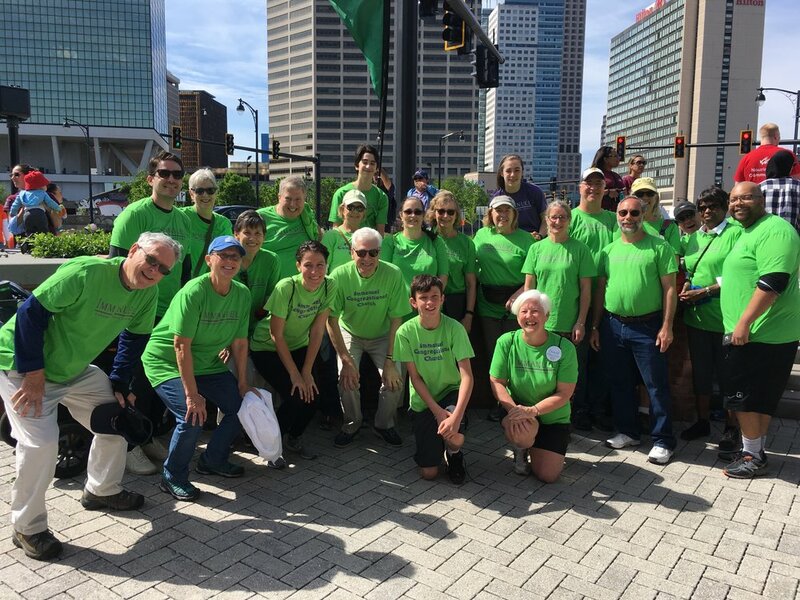 Love at Immanuel means rolling up our sleeves – be it to prepare and serve food at the Loaves and Fishes soup kitchen on our church campus, to participate in a Habitat for Humanity building project or to join Hartford’s annual Walk Against Hunger. Our mission activities also focus on public school education in Hartford. The Crossroad Cooperative Learning Program was initiated by one of our members with financial backing from Immanuel. The program provides students from Hartford Public High School with training and counseling to increase their opportunities for success in higher education. Immanuel members are also involved as volunteer readers and mentors at Noah Webster Elementary School and Rawson Elementary School. On Immanuel’s church campus we provide space for several community organizations. In addition to Loaves and Fishes, we house the Hartbeat Ensemble, who create provocative theater to connect our community beyond traditional barriers of class, race, geography and gender, and COMPASS Junior Peacebuilders, an organization that provides leadership training to youth, empowering them to communicate nonviolent alternatives to their peers and community. As an Open and Affirming Church, we welcome people of different sexual orientation and gender identity and offer meeting space to Parents and Friends of Lesbians and Gays (PFLAG). A member of the United Church of Christ, Immanuel provides financial support to the Connecticut Conference and the National Conference of the UCC. Their activities provide help to people throughout Connecticut, the United States and the world. Also, Immanuel offers many opportunities to contribute to specific projects throughout the year, among them the Heifer Project International and the Blanket Campaign of the Church World Service. To put love into action is at the core of practicing our faith at Immanuel. All of our activities are united in the commitment to make God’s love visible in the world. No matter where you are in your faith journey, we ask you “to roll up your sleeves” and participate in Immanuel’s social action and mission projects!